The cloud hosting service from SYSPRO enables you to run your SYSPRO ERP on demand via the Internet. All that is required to host SYSPRO in the cloud is a monthly subscription that will provide the infrastructure. You’ll be free to concentrate on running your business – rather than the business of running your IT operations. 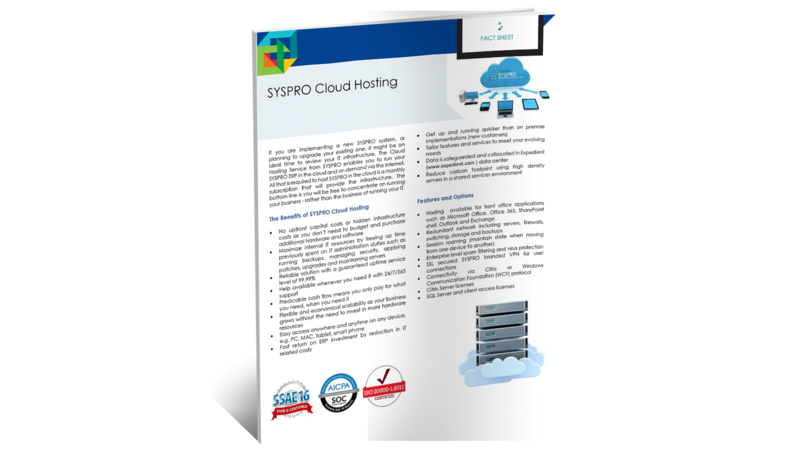 Download our SYSPRO Cloud Services Brochure to learn more.